Starting your own business is certainly not for everyone. Yet there are many people who embark on this challenging journey not out of necessity due to poverty, downscaling or retrenchment, but more out of a desperate desire to find meaning in their work and to make a difference. Research done by USB MBA alumnus David Krige recently found that, following on the philosophy of Viktor Frankl that the search for meaning in one’s life is the primary motivation of man, most entrepreneurs are motivated by purpose rather than money. This insight is important because the creation of new ventures is of critical importance for economic growth. It is equally important to gain a better understanding of the motivations behind entrepreneurial intent. Results from studies like this will help to improve venture creation and influence the success of entrepreneurship by understanding how to motivate individuals. Krige’s research shows that to become an entrepreneur requires extraordinary levels of motivation to weather the storm of uncertainty, change and daily challenges. His research also shows that what drives this motivation is meaning and purpose. His study found that some people who want to become entrepreneurs are indeed driven by financial rewards and that it is not an uncommon phenomenon that people are frustrated with their work and the role that it plays in their lives. However, not everyone starts a new venture as a result thereof. Nor do they venture off with a new business simply because they feel they are not being paid their worth. Ensuring that their work plays an important role in finding meaning in their lives is the largest contributor. Meaning is an incredibly subjective experience. People have different priorities during different stages of their lives – such as providing for a family, starting a career, dealing with a difficult divorce or planning to have a family. People also define meaning differently; for some it is to make a difference in the world, doing work that is valuable to others, solving a problem or helping others. For others it is the opportunity to make their own decisions, to provide a unique service to the industry, to make a difference in their own lives or to be autonomous. In his study Krige says for many who ventured on their own, work was just a means to an end, receiving a salary at the end of the month and doing what they were told to do. He says they experienced no meaningfulness in their work. Doing only the bare minimum required from them caused them to stagnate in their careers as they were not challenged to grow. For other entrepreneurs, although they found meaning in their work, they felt that they could achieve more by starting their own venture. Krige says one’s regular work could make a difference but on the other hand you could be hindered since you cannot make the decisions that you feel would have a bigger impact. In addition, experiencing a sense of purpose in one’s work or starting a business that has purpose could positively enhance one’s own sense of meaning. If one’s purpose is to develop things that one believes will add value, one’s work would contribute to a sense of purpose and meaning. Finding the significance in one’s work will translate into life becoming significant. When is the right time to start your own venture? Feeling demotivated at work: The biggest reason why employees regard their work as lacking meaning is the feeling of insignificance, which leads to high levels of frustration. The feeling that the work you do does not matter in the bigger picture of the organisation is demotivating. Feeling that your job does not contribute to the greater good: This happens when work is just a means to an end. Work really is just about earning a salary and doing what you are told to do, which leads to you doing the bare minimum that is required. This can leave you feeling stagnated in your career as you are not challenged to grow. Feeling that your work does not provide you with a sense of meaning: Work is unfulfilling due to the feeling that work is meaningless. Employees have a sense that they cannot do anything that could have a real impact because things are out of their control. This could also be as a result of working for a big corporation that has specific characteristics. The environment in which work is done has a major impact on the sense of how meaningful the work actually is. Feeling that you need to do something with more purpose: Some employees find a lot of purpose when they develop things that they believe would add value. Their work needs to contribute towards something new that will add value. In essence, the world will improve and evolve when you are doing meaningful work. If you are not practising that calling, it leaves a gaping hole in the world. Understanding one’s meaning in life is an everlasting quest for some of us. With the important role that work plays in one’s life, it seems to be the logical place to start this understanding and search for meaning. For some, work might never provide that opportunity; for others it will. After all, one needs to be the change one wishes to see in the world, according to Gandhi. An entrepreneur, highly motivated by finding meaning, as demonstrated in Krige’s study, is in a better position to bring about that change. This article is based on research done by USB MBA alumnus David Krige. 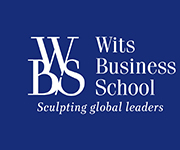 His supervisor was Prof Mias de Klerk, who is head of Research at USB and who lectures in leadership development, organisational behaviour and human capital management.